Don’t spend your precious summer time slaving over dessert. 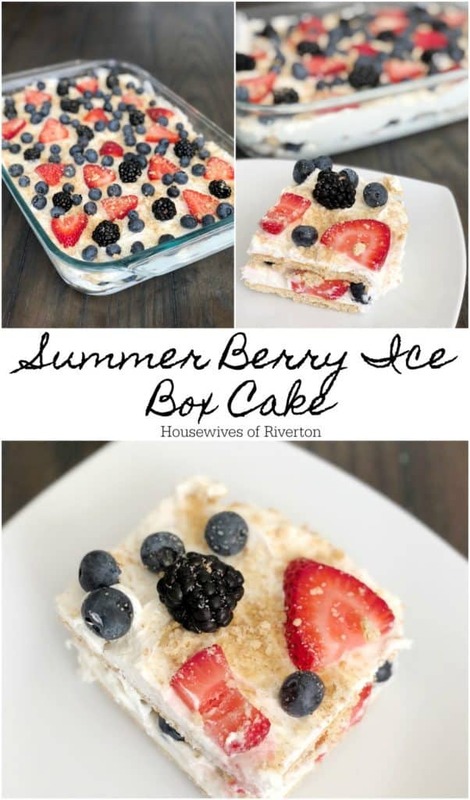 Our Summer Berry Ice Box Cake is super easy, but your family will think you spent hours on it! Maybe it’s just me, but I feel like the summer is already gone. I don’t want it to be over, we’ve been so booked all summer that I feel like we haven’t had the time to just enjoy the hot, sunny weather. We had baseball into June, then high school football, swim lessons, trips to Idaho and Oregon, Trek, football camp, and now we are starting in on little league football. I have to say I miss the days when my kids were smaller and we had no place to go and nothing to do. We could spend lazy days at the park or splash pad and just relax. Even though we have been super busy, we are taking some time to just enjoy the day together by going to my brother’s place where we can play in the pool and eat pizza. No one has anywhere to be, and it’s going to be awesome. 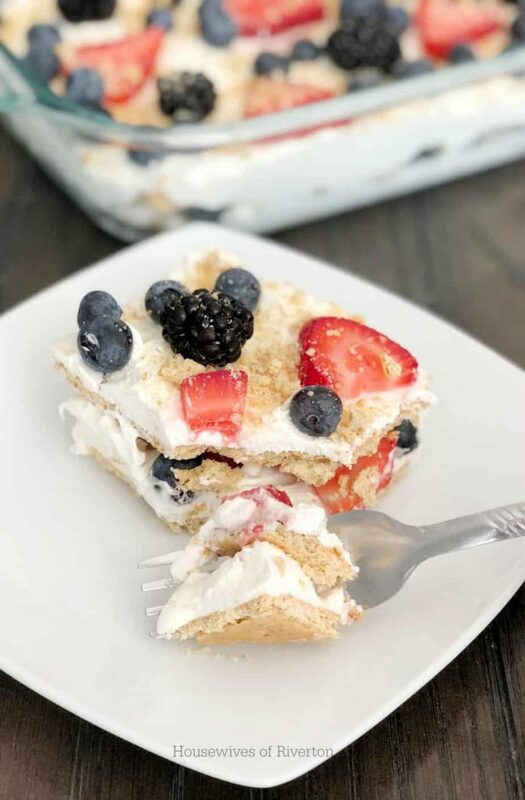 Since we are ordering pizza, I decided to make something cool and delicious for dessert and thought an ice box cake would do just the trick. It’s easy to put together, looks pretty, and tastes amazing! 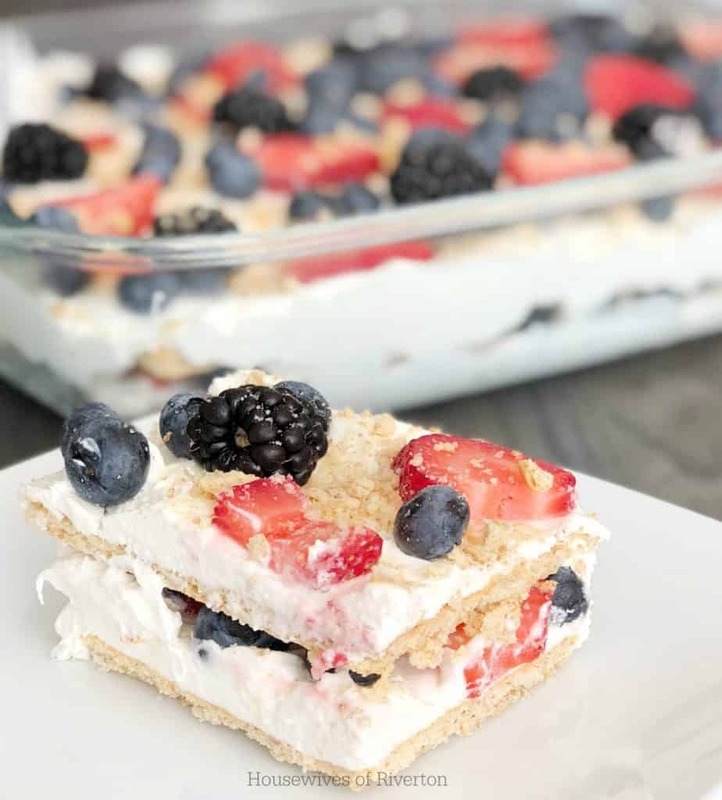 The ingredients are really simple, graham crackers, whipped cream, cream cheese, and some fresh berries. 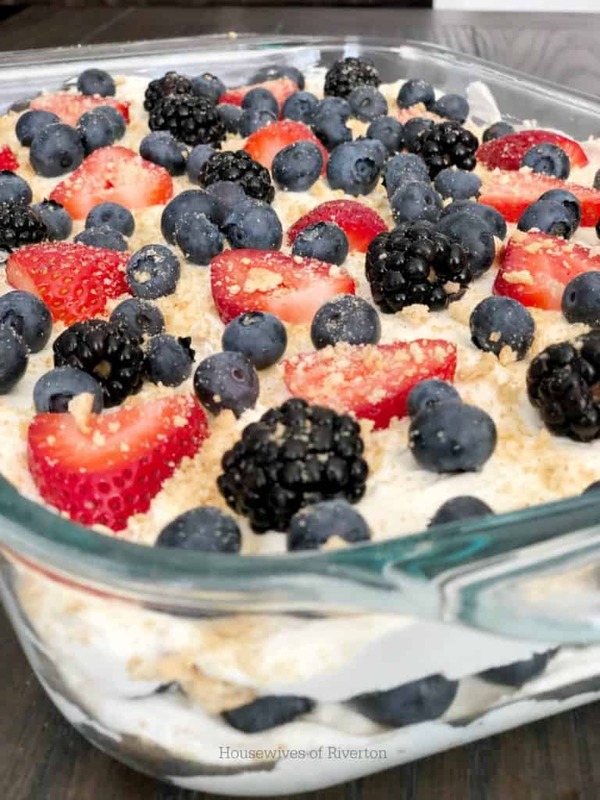 You can put it together in about 20 mins, pop it in the fridge for 4-5 hours (or if you’re ahead of the game you can make it the night before and just have it chill overnight), and you’re ready to go! The best part is no baking! You aren’t going to make your air conditioner work overtime just to have a tasty treat! I hope that you have had all the lazy, summer days to enjoy your family. What is your favorite summer activity? Is your family on the go all summer, or just laid back and having fun? Let us know in comments! If you need some other tasty summer treats, check out our Summer Fruit Salad or S’mores Banana Bites! Recipe only takes about 20 minutes to put together, but should have at least 4 hours to chill before serving.